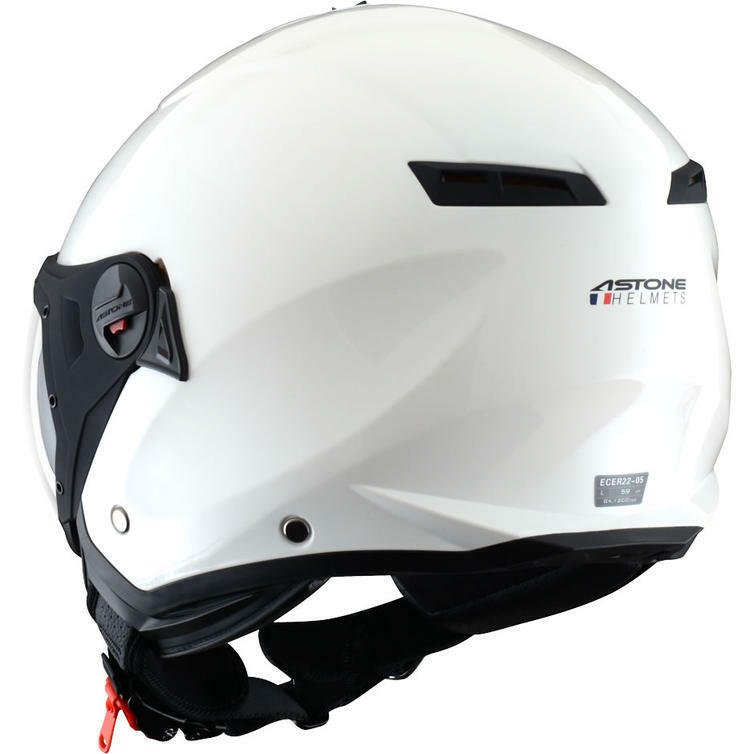 Astone Helmets are the first brand developed by the RiderValley group in 2008, that design and manufacture motorcycle helmets.Astone Helmets cover all segments of the market to meet the various needs of consumers, from the full-face helmet to the Motocross helmet. 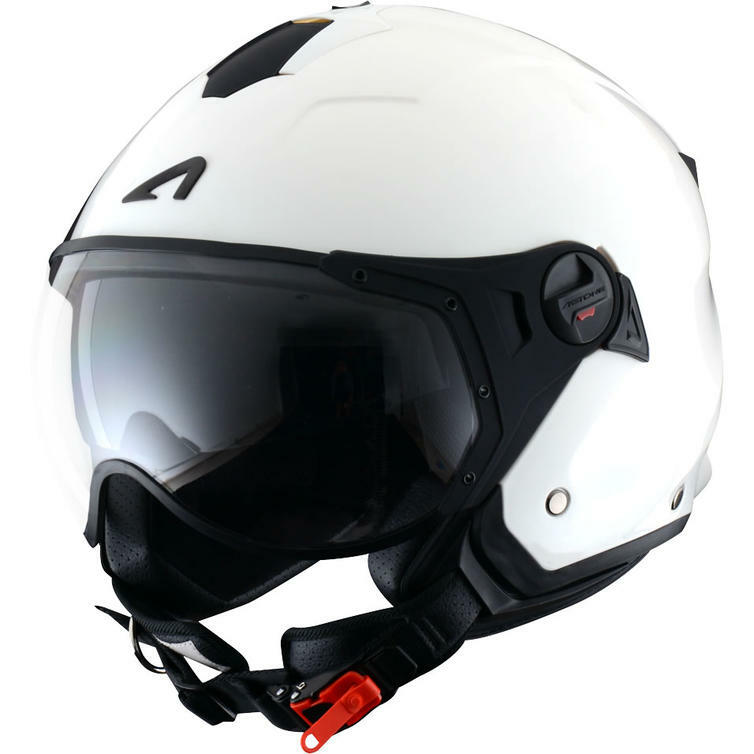 This new range of helmets combine safety, aesthetics and comfort, while positioning itself as the best value for money. 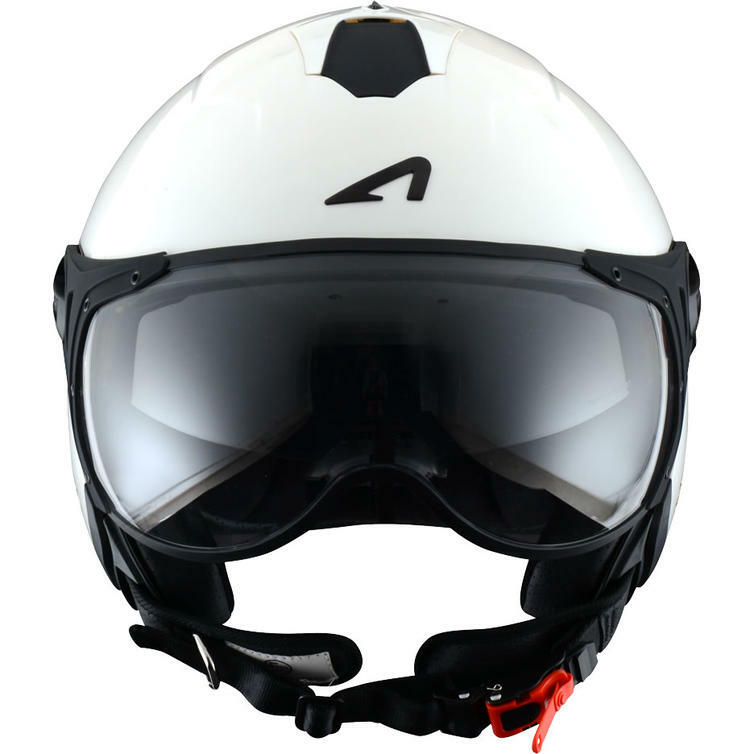 The Astone Minijet Sport Open-Face Motorcycle Helmet White is part of the latest Astone collection. 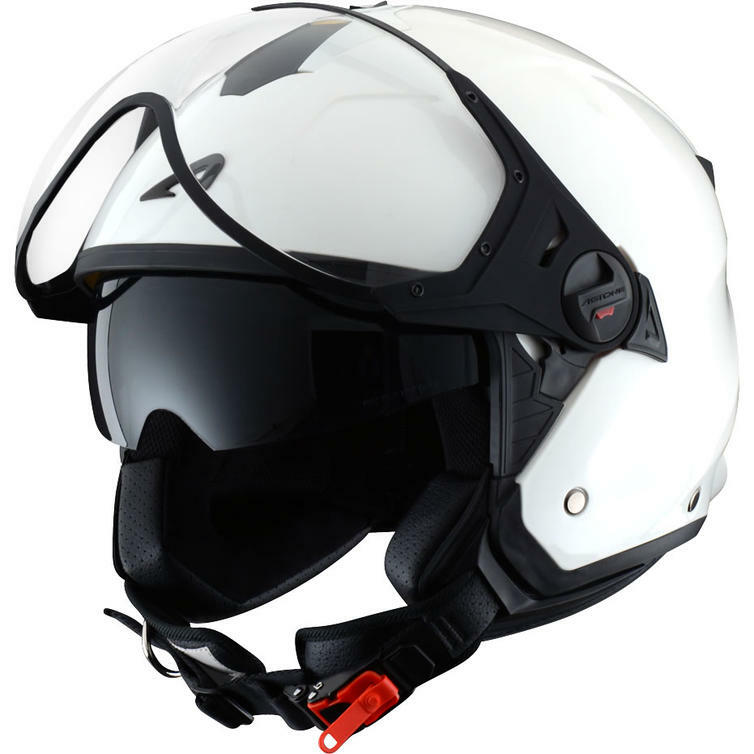 Looking sporty, the Minijet Sport helmet stands out thanks to its aviator-type visor. For 100% inner-city use! 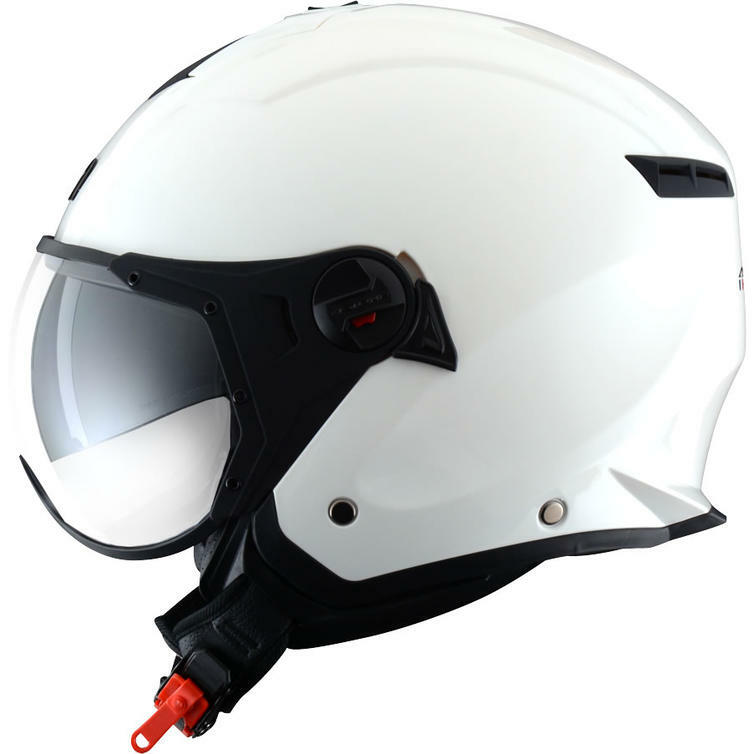 A range of colours is available for both female and male scooter riders.